Periodontal disease affects the gums and the bone that support the teeth. When plaque and calculus (tartar) build up around the teeth it irritates the gums and bone. This may not be noticeable in early stages because it is often painless. An important sign of this disease is bright red gums that bleed easily. As the disease progresses significant bone loss can happen around teeth and teeth can become loose. Periodontal disease is the number one reason for tooth loss and is linked to other diseases such as diabetes, cardiovascular disease, increased risk during pregnancy, and stroke. 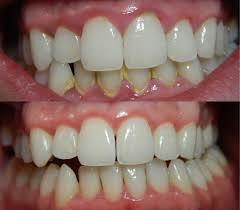 Scaling and Root planing, often referred to as “Deep Cleaning” is a procedure done to eliminate the plaque, calculus and bacteria involved in progression of this disease. If detected and treated early it can be maintained with maintenance cleanings as well. Speak to the dentist if you have questions and concerns about your gum health or notice any loose teeth.